Last weekend the 2013 Maui Mountain Bike Relay Races were held to benefit Big Brothers and Big Sisters of Maui. The event gave mountain bike riders an opportunity to ride trails in upcountry Maui and enjoy a day of cycling camaraderie with fellow mountain bikers, feast on great food and support one of the best charity organizations on Maui, the Big Brothers and Big Sisters of Maui. Of course, West Maui Cycles was onsite offering bike repairs, support and bike maintenance for those in need of bike repairs or adjustments. We used our Specialized pop up alongside the bike store popup to provide a mini bike repair shop for the mountain bike event. Everyone had a great time and the kids loved the pump track and relay track. What a great day for families to get out and ride. The event registration opened at 7. Afterwards, the event got underway with the Maui Pace Relay races for beginners and intermediate riders taking place at 8 am. The goal for riders was to complete as many trips around the 1.5 mile mountain bike relay course as possible between 8 and 9:30 am. 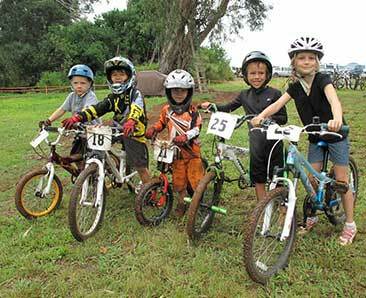 The next event was the Keiki Races for kids under 13 and was non-competitive fun race to get the little ones riding and enjoying cycling. And finally, the day of bike racing finished with a competitive Fast Relay Pace for the expert and elite mountain bike riders. This race was a gender neutral event open to all experienced mountain bike riders of any age. Teams were comprised of individuals and two rider relay teams who made as many trips around the challenging 4 mile mountain bike relay course as possible in the 3 hours allotted for the relay. Nearly all the riders noted the difficulty of the mtb course even for the expert level riders! Take a look at a few more images from the 2013 Maui Mountain Bike Relay on the Maui Mountain Bike Coallition’s (Local IMBA chapter) Facebook page. Or, if you participated in the adult racing you can get your Maui Mountain Bike Relay results here on Racesplitter. After the event, the riders, fans and supporting organizers all sat down to a bbq feast and talked story about the fun day of riding on Maui. Special Thank You to Paul Turner for sharing his property and making this Maui bike event possible! Kicking off an endless summer of cycling, BMX bike fans enjoyed the XGames in Los Angeles and the 99th running of the Tour de France is underway! The cycling world will toast a glass of fine French champagne when the winner is crowned on the 22cnd. Keep an eye on your favorite road bike riders and teams while you check out the latest performance road bikes from the major bike manufacturers, including our Maui bike dealer brand, Specialized. The latest in bicycle technology is always on display at the tour de france. The first few days of racing already saw some nasty crashes even before the riders get into the mountains! Credits: Specialized Bikes - West Maui Cycles is a Specialized Bike Dealer on Maui! As noted above, the annual Tour de France bike race is roaming about the beautiful French country and mountains, completing the 6th stage earlier today. Do you think it’s still too early to pick a race winner? Do you have a favorite? Use the Maui bike blog comments section below to let us know who you think will win the 2012 Tour de France! New to the road bike racing or have Tour de France questions? Get answers to your Tour de France questions on the bikerader.com forum and visit The Guardian’s Tour de France 2012 Interactive Guide. Later in July, the Olympic bike races get underway with the Men’s road bike race on the 28th of July and the women’s race the next day. After the road bike racing events, the Olympic cycling events continue in August with mountain biking, BMX and Track bicycle racing all from England. The Track cycling events start on Aug 2 while the BMX events run from the 8th to through the 10th. The mountain bike riders won’t race at the Olympics till August 11 for the women and August 12 for the men. The Olympic mountain bike races are being held on Salvation Army land at Hadleigh Farm and Hadleigh Country Park in the grand old English countryside. Not to be forgotten, we have our own Maui cycling competition with 36 miles of climbing the 10,000 foot Haleakala bike ride in the 2012 Cycle to the Sun on August 25. Bring your bike or reserve one of our performance road bike rentals. You’ll be competing against some of the best climbers bike riding up the steepest and longest paved road on the planet! And, you’ll be in Maui bike riding! What could be better? Ok, maybe you need a bike rental for the 2012 XTerra world championships at Kapalua in West Maui in October? Either way, mountain bike or road bike, West Maui Cycles caters to performance biker riders. We only rent the best bikes on Maui! 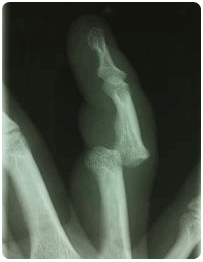 Can you tell I’ve been nursing my broken finger back to health unable to enjoy mountain biking in the West Maui Mountains? I usually get out at least a once a week and its already been over a month since my last mountain bike ride! To help me with my lack of riding time, please share your Maui bike ride pics and videos on our Facebook page.